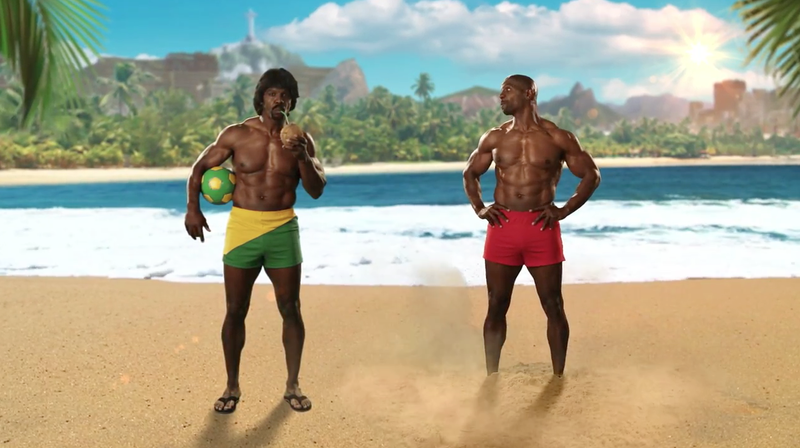 Old Spice scores another goal with Terry Crews, this time for the World Cup. The brand would like you to know it's now available in Brazil, and it's a good time to tell you that because there's a rather large sporting event taking place there right now. Wieden + Kennedy in Portland, Ore., cranked up its crazy machine and decided to have Crews power drill through the Earth to Brazil, where he meets his Brazilian double and congratulates him on being awesome, spontaneously creating a pineapple in the act. Someday, they'll just have Crews scream the whole thing; this time they settle for screaming half. Luckily, Crews's elongated vowels work great for celebrating a sporting event where people yell "Goooooooaaaaaaal" all the time.